The weekly Drought Report has been released by the National Drought Monitor and there are no dry areas in Georgia. 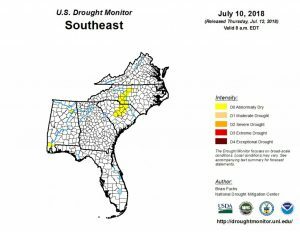 For the contiguous 48 states, the U.S. Drought Monitor showed 30.36 percent of the area in moderate drought or worse, compared with 29.72 percent a week earlier. 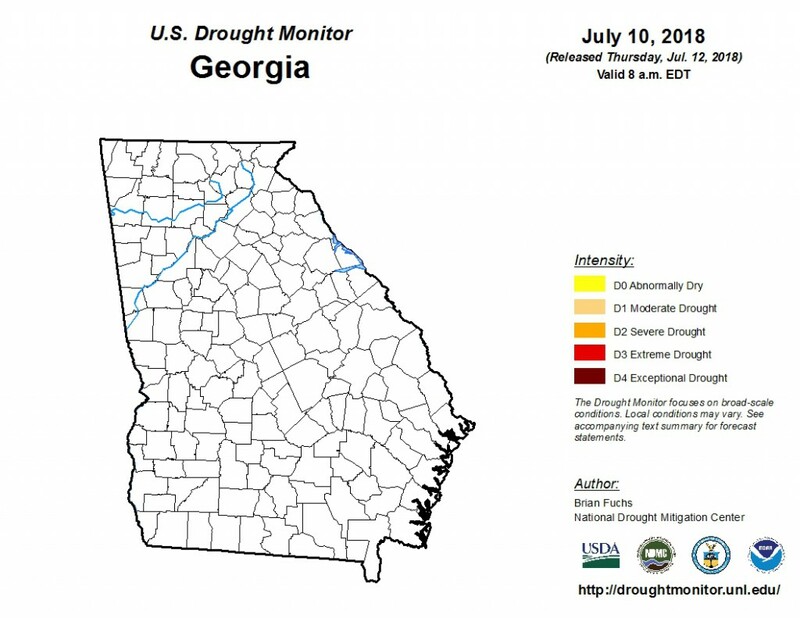 Drought now affects 66,283,262 people, compared with 66,459,087 a week earlier. 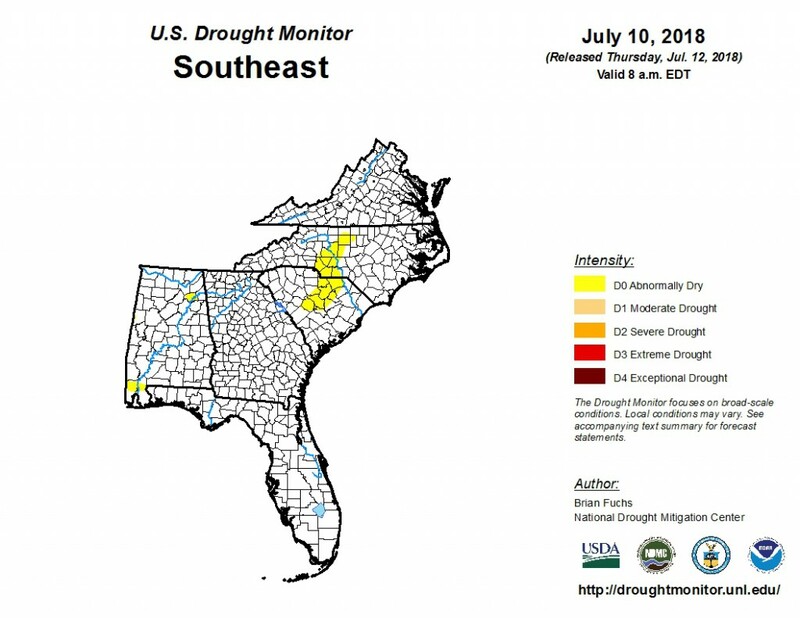 For all 50 U.S. states and Puerto Rico, the U.S. Drought Monitor showed 25.37 percent of the area in moderate drought or worse, compared with 24.83 percent a week earlier. Drought now affects 66,304,574 people, compared with 66,459,087 a week earlier. Just select one of the Population types from the Statistic Type pulldown. The attachments include the weekly map and narrative as well as the one-week change map. Posted in Drought. Bookmark the permalink.